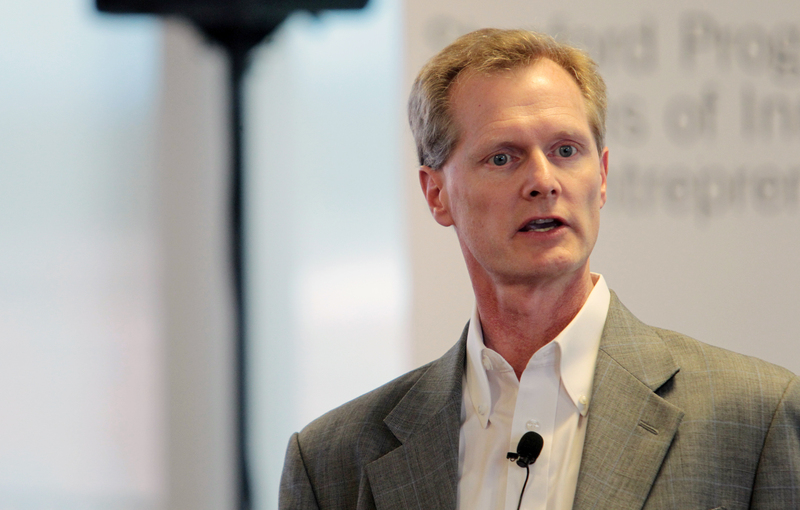 Russell Hancock is President & CEO of Joint Venture Silicon Valley, a position he has held since 2003. In this role Dr. Hancock is best described variously: as a civic leader, community gatherer, institution builder, social entrepreneur, and outspoken advocate for regionalism. Since taking the helm of Joint Venture he has quadrupled the size of the organization; assembled a potent board filled with mayors, CEOs and university presidents; built strategic partnerships; recruited a highly talented staff; and launched initiatives that are delivering measurable results to the region. 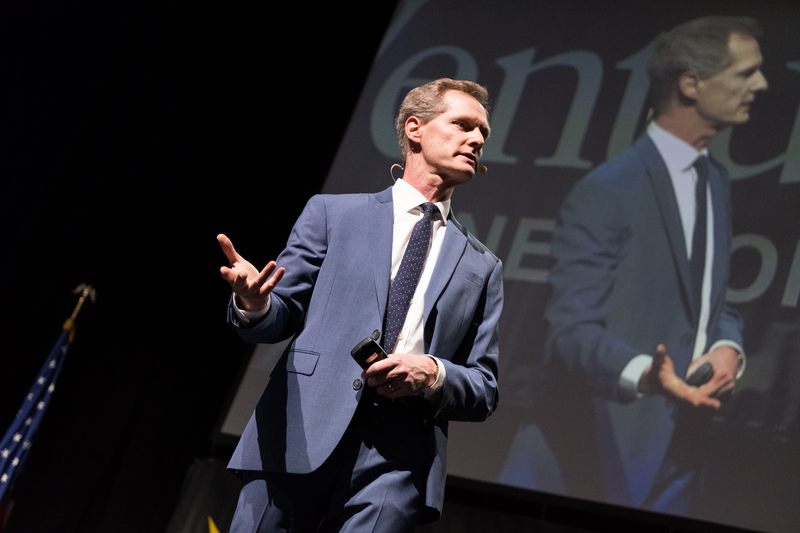 Russell is also the founder of the annual State of the Valley conference, a “town hall” meeting attracting more than 1,500 leaders for a day spent in dialogue and discussion about the Valley’s challenges and opportunities. The conference features the release of Joint Venture’s Silicon Valley Index, a document now receiving national and international attention. Dr. Hancock's leadership in the Silicon Valley region builds on earlier work he led as Vice President of the Bay Area Council (1994-1999). There, he spearheaded the campaign extending BART to the San Francisco Airport. He also directed a broadly-based effort which ultimately created the Bay Area Water Transit Authority, charged with delivering a high-speed ferry system to the San Francisco Bay. Educated at Harvard in the field of government, Russell received a Ph.D. in political science from Stanford University where he currently teaches in the Public Policy Program. Fluent in Japanese, Russell returned to Stanford in 2000 to become the inaugural director of the Shorenstein Forum for Asia-Pacific Studies, Stanford's gathering place for ranking officials, senior executives, journalists, and scholars who shape outcomes in the Pacific Rim. In addition to the research output of the Forum, he built up corporate programs, established international fellowships, raised money, and generated public events featuring a stream of presidents and ministers. Dr. Hancock was recruited away from Stanford to take the helm of Joint Venture at a time when the organization was in a period of transition and instability. He is credited with the growth and increasing influence of the organization, to the point where today Joint Venture is Silicon Valley’s recognized clearing house for regional analysis, and for collaborative approaches to solving the region’s problems. The Joint Venture model is now being replicated in various metropolitan regions throughout the United States, Europe and Asia, and Dr. Hancock has most recently provided advice to regional governments in Beijing, London, Madrid, the Netherlands, and Taipei. In 2011 the United States Government Accounting Office launched a national indicators project modeled on Joint Venture’s Index, with Russell providing high-level advice. 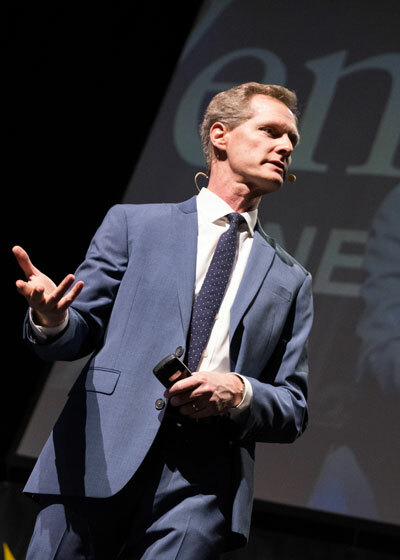 The Silicon Valley Business Journal perpetually names Russell to its annual list of Silicon Valley’s most influential “players.” Considered one of the Valley's leading expositors, his interviews regularly appear in the New York Times, Wall Street Journal, Bloomberg Business Week, The Financial Times and Forbes. He is also a frequent guest on NBC Nightly News and is the host of "Inside Silicon Valley," a weekly radio program heard on 1590 KLIV. In private life Dr. Hancock lives in Palo Alto where he raises three children with his wife Marguerite. A devout Mormon, he serves in the stake presidency of the Menlo Park LDS Stake. He also leads a parallel life as a concert pianist, appearing with symphony orchestras across the nation. He is a founding member of The Saint Michael Trio, artists in residence at Montalvo Arts Center and Notre Dame de Namur University. Recent appearances include the Flint Center, Montalvo Arts Center, Le Petit Trianon, Ralston Mansion, Bismarck Belle Mehus Auditorium, Assembly Hall in Salt Lake City, and the Mostly Mozart Festival in Bartlesville, Oklahoma. He also enjoys promoting the Bay Area's civic orchestras, and has appeared as soloist most recently with the Saratoga Symphony, the Ohlone Symphony, the Nova Vista Symphony, and the Redwood Symphony. Hancock: With ideal climate and landscape, why aren't we biking?